The WEEKENDER is the anytime-any-place inflatable standup paddleboard for the casual thrill-seeker. Its 10’ length and rounded hull make paddleboarding easy on calm water as well as in surf for people of all skill levels. The size and shape of the WEEKENDER make this board more stable and easier to balance on, which means it’s an especially good choice for yoga. The sturdy handle in the middle of the front of the board makes carrying it around easy and doesn’t get in the way when you’re paddling on water. The GLOBETROTTER is the introductory touring inflatable standup paddleboard. Its hydrodynamic body, with its pointed nose, carves through water quickly and efficiently. This is the board for intermediate to advanced high-speed riders looking to race through flat or choppy waters. The 12’ length and 30” width make longer distance rides more comfortable and less taxing. The 6” thickness of the board improves stability and structure while the EVA textured foam deck pad prevents slipping and sliding. Though the design of GLOBETROTTER is traditionally that of a racing board, mellower adventurers should feel just as comfortable hopping on this zippy board. We supply you with everything you’ll need to get started paddleboarding. The JETSETTER is the gnarliest of the Ten Toes line up of SUP boards. It measures 14’ long by 30” wide and 6” thick. Its longer body and pointed nose make this board the perfect companion for the intermediate to advanced speed demon. The shape of the JETSETTER is comparable to that of kayak. The pointed bow is best for moving through water more efficiently and more quickly. Its shape is hydrodynamic, which means it encounters less water resistance. The narrow nose disperses water well and results in better stability at higher speeds. It’s a great choice for longer rides, bigger riders, and competitive racing. The bundle has everything you’d ever need for standup paddleboarding. The Nano 8′ inflatable stand up paddleboard iSUP is for smaller adventurers starting out. Its 8’ length and rounded hull make it easier to control and require less exertion to paddle. the NANO was designed with smaller humans (i.e. smaller adults) in mind and is generally more simple to maneuver than longer boards. The ratio of length to width to thickness makes this an incredibly stable board, which means less tipping over! 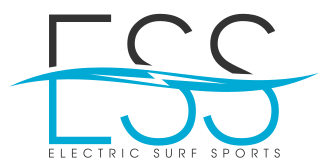 This design is great for use in surf or flat water.